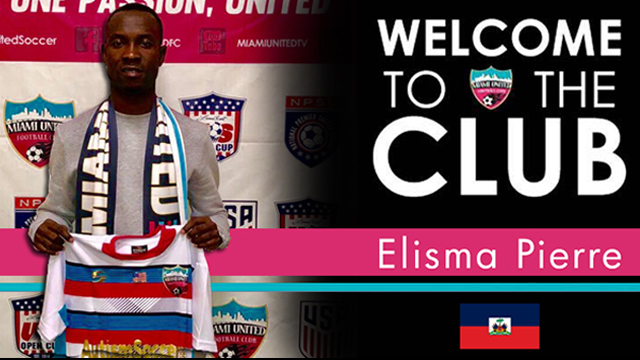 Miami FL (December 18th 2017) – The Miami United FC have completed the transfer of 27 years old Haitian center back Elisma Pierre from Miami Fusion. “We are pleased to add ELISMA ,” said Roberto Sacca CEO of MUFC . “He has great physical attributes and a good sense of the game. The club has very high opinion on him as a player as well as a person. His talent, experience and professionalism will be a huge benefit in the locker room and on the field , definitely one of the best in his role throughout Florida”.